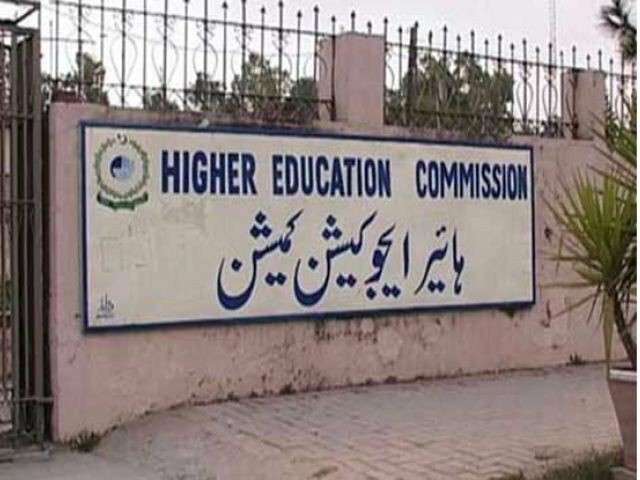 ISLAMABAD: The Higher Education Commission (HEC) made extra expenditure worth billions of rupees in the last fiscal year 2016-17 under its infrastructure development projects in sheer violation of the rules, it has emerged. In its audit report, the auditor general of Pakistan (AGP) detected that the HEC spent Rs 8,704.628 million against the released amount of Rs 5,569.980 million for infrastructure development projects under Public Sector Development Programme (PSDP), causing an expenditure of Rs 3,134.648 million in excess of the released fund, reflecting that the additional funds were utilised from previous year’s savings/retained amounts. 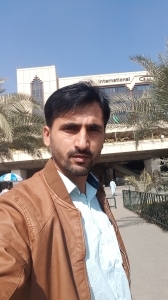 The HEC was maintaining an assignment account in the National Bank of Pakistan (NBP) and according to the terms and conditions, the expected savings/unspent balances must have lapsed to the government well before the closing of the pertinent financial year. The audit report revealed that the previous government allocated a budget worth Rs 15,287.449 million for the infrastructure development projects, but funds of Rs 5,569.980 million were released under first and second quarters, causing a decrease of Rs 9,717.469 million. The Ministry of Finance released an amount of Rs 5,569.980 million during first & second quarter of FY 2016-17, however, no funds were released during the third & fourth quarter and the shortfall of funds was managed by universities from other sources through bridge financing and carry forward of the previous year. The university/project wise position of budget allocation/release and incurrence of expenditure revealed that under 32 projects/universities, funds worth Rs 3,907.693 million got re-appropriated in favour of the 17 other projects/universities by the Planning, Development & Reforms (PD&R) secretary on March 17, 2017, indicating that either cash plan was prepared/got approved from the ministries/divisions concerned without legitimate need of the projects or execution pace was not up to the mark due to lack of the supervision/monitoring/evaluation controls. The report showed that in 44 cases, expenditure of Rs 4,656.015 million was incurred in excess over the budget release. An amount of Rs 249,736,556 was retained against 03 projects as on June 30, 2016, and Rs 170,281,561 against 07 schemes as on June 30, 2017 whereas, according to the instructions of Ministry of Finance, unspent funds of Assignment Accounts are required to have lapsed to the government at the end of the financial year. Moreover, the universities were operating current accounts of projects in the NBP instead of assignment accounts without the approval of the Ministry of Finance. The audit report revealed that in nine projects, the overall budget allocation was enhanced from Rs 800.00 million to Rs 1,679.389 million through a re-appropriation process and an amount of Rs 420 million was released during 1st and 2nd quarters. However, the management did not spend any fund against certain projects during the year 2016-17. Similarly, the report detected that under 25 universities/projects, an expenditure worth Rs 1,133.128 million was incurred against the released amount of Rs 2,271.864 million. The report showed that savings in available funds also indicated that the project management could not utilise available resources which led to the non-achievement of planned objective due to ineffective financial/monitoring controls. In addition, the report disclosed that nine projects valuing Rs 7,000 million, against which Rs 1,000 million budget was allocated originally which was revised through re-appropriation as Rs 105 million, were lying pending for approval of the competent forum. The project “Establishment of COMSATS Institute of Information Technology at Jaffarabad, Balochistan” valuing Rs 752.552 million, for which funds worth Rs 10 million were allocated during the year 2016-17, was abandoned due to non-availability of land. As per Reconciliation Statement with Accountant General Pakistan Revenue (AGPR), the total release was shown as Rs 14,742.483 million during 2016-17 whereas, in accordance with cash book balances/HEC record, the receipt was shown as Rs 14,943.439 million, causing less booking of foreign aid amounting to Rs 200,956 million in the AGPR books. HEC Director Media Ayesha Ikram, in an email reply, said that the facts indicated in the observation were correct, as the amount allocated for development projects of universities during FY 2016-17 was Rs 15,287.449 million. “The funds were being utilised in the execution of development projects and majority of these projects were at advanced stages under various contractual obligations which require the flow of funds to complete ongoing activities,” she added. Ikram agreed that the universities managed the shortfall of funds using other sources through the bridge financing. It is apprised that the commission is maintaining the assignment account for its development projects; however, accounts maintained by universities for development projects are not lapsable as agreed by the Ministry of Finance, besides universities are maintaining current accounts in NBP for development projects as agreed by the Ministry of Finance. The difference of Rs 200.956 million in reconciliation statement was due to direct receipt of funds from foreign donor i.e. USAID to the HEC through the State Bank of Pakistan. However, the settlement of account was requested to the AGPR by the HEC but was not adjusted/incorporated timely.